Is it a bambi? Is it a pony? We have a very dapper pink ceramic creature which we call Bampo (Swan insists it's Bappo) because we couldn't decide. He is the third happy fella in my SPRING HAS SPRUNG series. 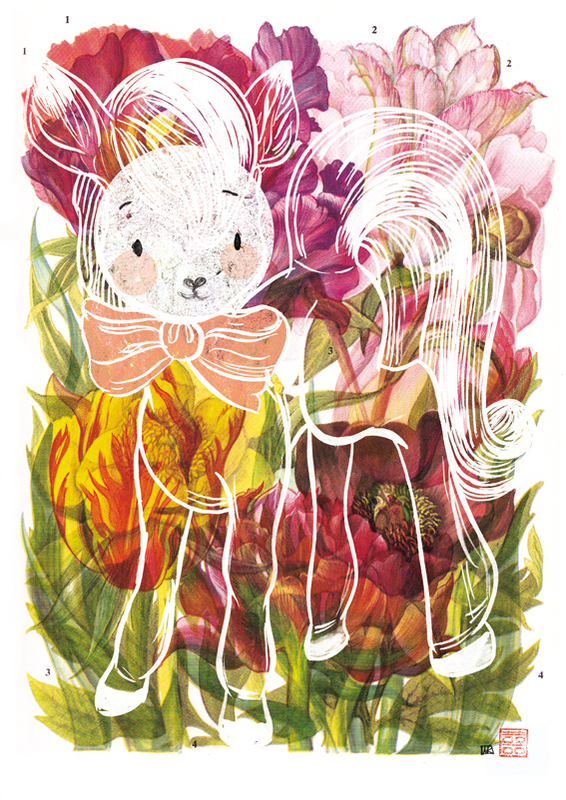 Don't forget to comment on my SPRUNG LAMB GIVEAWAY post to win one of these prints. As before he is an archival print on wallpaper (has an amazing texture).